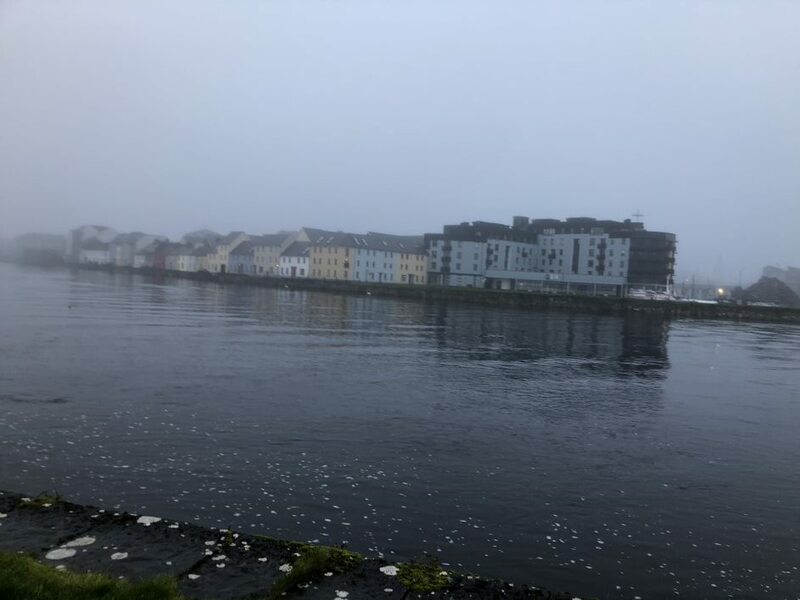 While I have yet to take up the fiddle, or play tag in a far-off field with some sheep, my first week studying abroad in Galway, Ireland was certainly not uneventful. I hopped off my red-eye plane at Shannon Airport in utter disbelief that I am actually here––for the next four months. My mission to see everything was suddenly ignited before my flight even came to a complete stop. Also, the legend is true. It’s not a myth: Ireland is breathtaking and beautiful, and the grass is definitely greener on the other side. 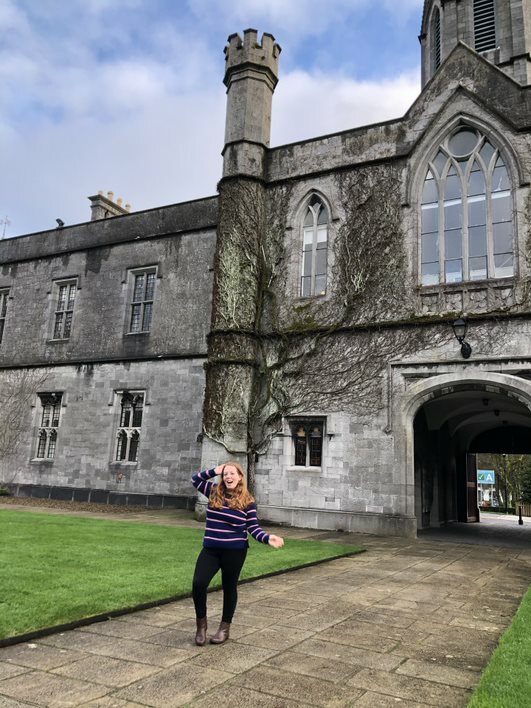 Lo and behold: here is a list of the five greatest things that I saw and experienced during my first week as a NUI Galway girl; however, let the record show that this particular list is probably interchangeable with almost everything here. I really just had to visit this during orientation. Not only because the weather was clear, but because I was determined to finally see this picturesque capstone of my new university in the flesh. Way before my arrival, I obsessively stalked photos taken in Galway, and I discovered many students standing in front of this specific building. It’s almost like it was designed with the future of Instagram in mind (#nofilternecessary). This setting is not only calming, but a sample of the beauty envisioned whenever I would think of Ireland. Thomas, the CEA program director for Galway, whom my group cherishes, taught us how to maneuver our ways through Eyre Square, the main city center, as part of our welcome weekend. However, while we enjoyed walking along the stone-coated streets and seeing new sights in daylight, some of us were pretty hungry––until we met yet another new person. Please pardon my taking this time to ask: do you know the doughnut man? Well, when Thomas brought us to a bustling street market, he left us to explore the lined shops for a few minutes. Then, he casually bought us Boychik Doughnuts without letting us know that our lives would be forever changed. 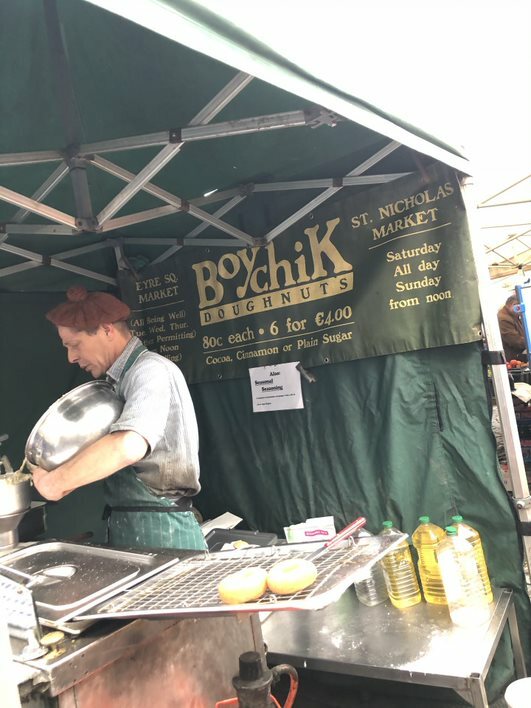 These doughnuts are a key definition of the word “delicious,” and right then and there, I found myself not only immersed in the Irish culture, but in a couple cinnamon doughnuts as well. We watched this man craft slices of heaven before our very eyes without our initial knowledge. 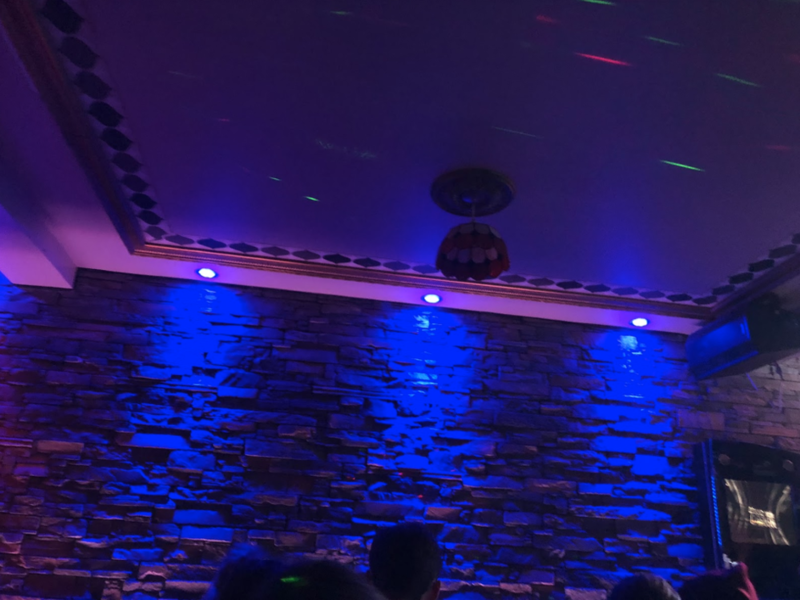 I’m not one to say no to karaoke, so this wasn’t really a new thing that I tried, but it was my first time belting Taylor Swift’s “Shake it Off” in Europe, and I really couldn’t stop groovin’. I can tell that this semester is going to be more than all right, and this night was a grand start to what Galway is all about: a vibrant community that cheers one another on. I even performed this song with a girl I had just met five minutes before, and I now look at her as a potential friend for life. Either in a pub or on the street, music fuels the spirit of Galway’s people, and it never misses a beat. 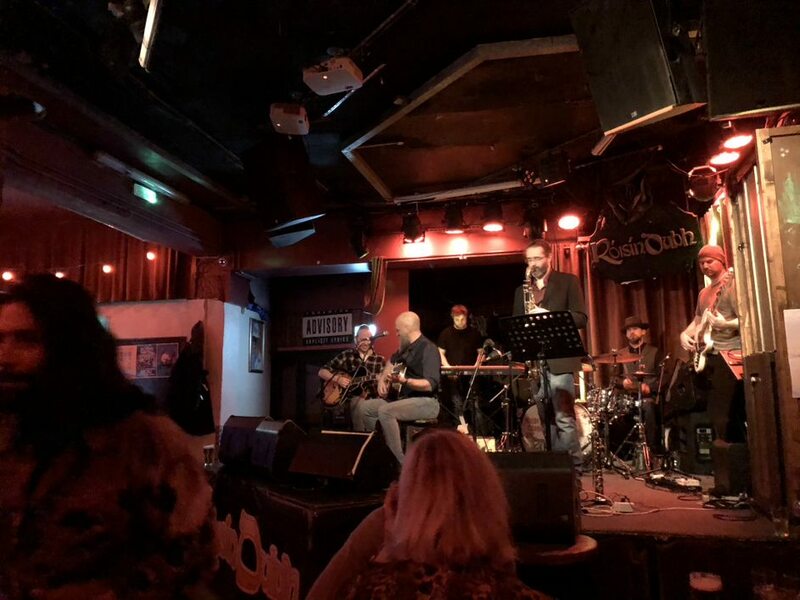 While strolling along Galway’s Long Walk, a few gals and I ran into a kindhearted woman who was playing with her puppy by the bay, and she invited us to come see her friend, John Conneely, perform that Sunday night. Even though his performance didn’t begin until midnight, we still went. While the music was mellow at first, it eventually evolved into a passionate and electrified soiree, with all different cultures and smiles intermingling within the central dance space. Another legend is true: the Irish are actually the friendliest people. After only knowing my “flatmate” for one night, she invited me out with her friends to a musical night at Nova Bar, which featured songs from Moana, A Star is Born and Legally Blonde. Omigod, omigod, you guys, this was seriously so much fun! I am truly glad that I am now able to surround myself with people of my heritage. I became a part of their night in Eyre Square, and they didn’t once make me feel misplaced. Everywhere I go, I feel like I already belong -- and by choosing Galway, I moved closer to the ocean, but farther from the shallows in life. Like the famous Galway Bay on this day, the future is unclear and foggy, yet exciting and entirely worthwhile. Here, where the sky meets the sea, even more adventure calls after me. Now watch as I dive in. 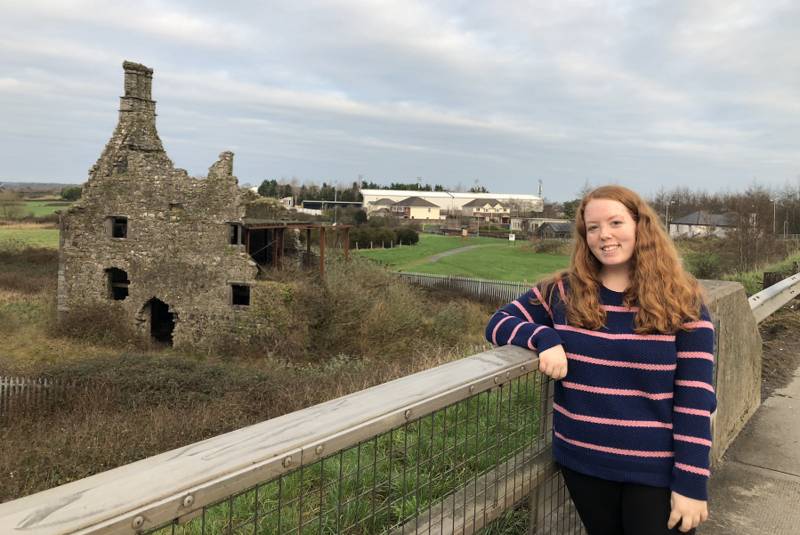 Kelsey Fredricks is the Spring 2019 CEA MOJO Blogger in Galway, Ireland, and is currently studying at State University of New York at New Paltz.